Wigs for people with hair loss. Visit The Individual Wig. The Individual Wig is the specialist in wigs for people with hair loss through cancer or alopecia. Our ranges are suitable for all medical conditions, whether you’re looking for hand tied, synthetic wigs, human hair wigs or a lace front wig. To buy, all you have to do is browse online through our extensive range or visit our Salon in Sydney. Our caring, understanding and qualified wig consultants/hairdressers are sensitive to the special needs of people who require wigs for hair loss. The Individual Wig has been in the wig business for more than 50 years. Our team of wig experts has a combined experience of more than 100 years and with all the skills and knowledge acquired over time, they will cut or style a wig to give you the look you want. Before your hair falls out think about how you will prepare for it. A good time to visit a wig consultant is before you start your treatment. This enables the consultant to see your hair style and colour before hair loss occurs.If your hair is long, (shoulder length or longer) we would suggest cutting your hair shorter before treatment. This may help to alleviate what can be the trauma of dramatic hair loss. Keep the look you had. We’ve found that many women prefer to retain their original style and colour. This helps them to deal with the treatment phase and recovery period. Often, well-intentioned people suggest the medical treatment offers a time for change but understandably, women with cancer want their lives back to normal. We can give you back the look you had with a wig that looks natural and ready-to-wear; with comfort and confidence. For more information visit Frequently Asked Questions>. Turbans, hats and scarves for hair loss. We also have a headwear collection of colourful, fashionable hats, scarves and turbans in bamboo and cotton. For more information visit Headwear>. Make an appointment-for Home/Hospital visits. Because of the time needed in this area, it’s often helpful to make an appointment to visit our Salon.Just call 02 93322112 or email. Valet parking by appointment can be arranged. Hair loss, wigs and how to manage your wig. Medical conditions can also play a role in hair loss and how hair looks. That’s why a significant part of our business is devoted to caring for people affected by hair loss. In all instances, The Individual Wig advises you to seek expert medical advice for treating your condition but we can help you with information about all things to do with wigs, cutting or resizing. Some hair facts It’s estimated there are between 100,000 to 150,000 strands of hair on a persons head. The amount varies with colour. Some research suggests redheads have the least, blondes the most and brunettes are in between. Our hair grows about 22 cm a year but we lose about 50 to 100 strands a day. 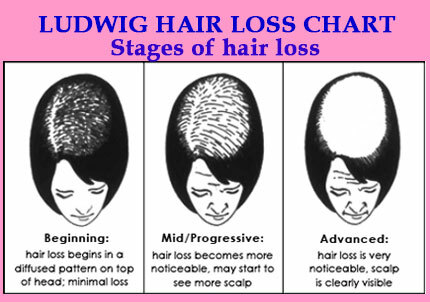 Progressive hair loss, called alopecia (al-oh-PEE-shah) can happen over time, resulting in baldness. Alopecia can also be caused by a medical condition or medical treatments. Alopecia comes from the Greek word ‘alopex’ meaning fox, an animal known to lose its fur. There are a number of subtypes of alopecia, with alopecia areata being one of the most common and occurring in round patches on the body. Alopecia totalis is total hair loss on the scalp. It’s not known why alopecia develops but the main cause is thought to be an autoimmune disease. Anyone can develop alopecia, at any age. Unfortunately, there are few treatment options available for extensive alopecia areata. That is why an attractive, easy-to-wear wig is an option. The wig may need to be resized and trimmed by our wig consultants/professional hairdressers. Some wigs allow for the use of double-sided toupee tape. With proper care and maintenance, a good quality wig will retain its style and beauty for some time. Hair is an important part of our appearance and image. Everyone reacts differently to hair loss so learning to deal with it before it occurs can help to better adjust to the change in physical appearance. When not wearing a wig, scarves and turbans are ideal, especially around the house and to keep the head warm. Hats are another alternative. Medical treatments. Radiation therapy and chemotherapy treatments can lead to hair loss. This can be an emotionally and psychologically challenging time. However, hair loss is usually temporary and the hair will grow back. Every case of hair loss is different, even in people on the same medication. In some people, hair loss is complete while others may experience thinning hair. Chemo therapy. Not all chemotherapy causes hair loss but when it does, it can occur gradually or suddenly. It usually starts after the first weeks or early rounds of chemotherapy and tends to increase as the treatment continues. The amount of hair loss depends on the type of drug, the dose, the combinations and how the drug was given, either on the skin, intravenously or orally, as every person is an individual. Usually, the hair regrows one to three months after the end of intensive chemotherapy. Radiation therapy. Hair loss caused by radiation therapy is different from chemotherapy in that it only affects hair in the parts of the body being treated. Hair loss, regrowth and the time it takes to grow back depends on the dose and method of radiation treatment. Very high doses of radiation may cause permanent lost or thinning in the treated area. For further information, The Individual Wig advises you to speak with your doctor or contact the Cancer Council in your state. Where to go for help with hair loss. The Look Good Feel Better program for women undergoing treatment provides valuable advice on how to deal with the appearance-related side- effects of cancer treatment, including hair loss. Established in 1990, Look Good Feel Better is a free community program made available through the support of the cosmetic, hairdressing and toiletry industries and available in all states and territories. Since its launch it has helped more than 50,000 women and The Individual Wig is a long-time, active supporter of this initiative. We are part of volunteer groups that visit hospitals to speak with women receiving cancer treatment. We strongly believe the program has a positive impact on a woman’s confidence and wellbeing at a very emotional and challenging time in their lives. This foundation’s philosophy is to give each person the best chance to manage their alopecia areata positively. It provides support to the family as well as the person with alopecia. Depending on your needs, there are many organisations that can provide help and support. Below is a list of cancer support groups, consumer organisations and policy making bodies. They’re involved in providing the best information, advice, care and support for people with cancer. They also play a vital role in fund raising for research and management of cancer. There is assistance available. You may be eligible for reimbursement from some private health funds. Speak to us about the benefits you could receive.